In this article, you will find everything you have to know about the P0171 code, and you will learn how to repair and diagnose it the easiest and fastest way at home. There is much false information about the P0171 code and a lot of doubtful tips about how to fix it. I work as a diagnostic technician, and my job is to solve problems like this. In this article, I will tell you my secrets, and I will tell you how I diagnose this code to find solutions to it as fast as possible. If you are interested in the diagnostic process that I’m doing, scroll down to the diagnostic section in this article. What does the P0171 code mean? P0171 is triggered when the front O2 sensors recognize a lean mixture. It can both be a short-term lean mixture or a long-term lean mixture. If it’s a short-term lean mixture the fuel mixture is often very lean. If it’s a long-term mixture, it can register the code because of a small notice of lean mixture over time. The P0171 code means that the front O2 sensors have recognized a lean mixture. The front O2 sensors are adjusting the fuel mixture that is coming out from the engine. 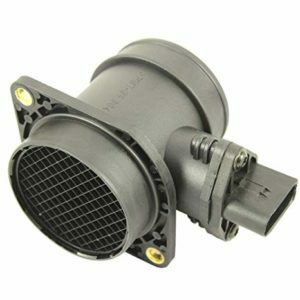 If one O2 sensor recognizes a slight lean or rich mixture, it sends a signal to the engine control unit to adjust the mixture in the next combustion cycle to get a perfect fuel mixture for the best fuel economy. The O2 sensors usually do have a range of +/- 15% to adjust the fuel mixture. If the fuel mixture is out of this range, the O2 sensor can’t adjust the mixture and the engine control unit will trigger and save a trouble code in the memory. If the mixture is lean, the P0171 code will be triggered. If the mixture is rich instead, you will get the P0172 code, and if you have a V-engine or two O2 sensors, you can also experience the P0174 code which means that there is a lean mixture, but on bank 2. If you have the P0174 code and want to know which bank you should start looking at and want to learn how to find it, Check out our article Bank 1 vs Bank 2. If the fuel mixture is slightly lean, you do not often get other symptoms from the P0171 code than a check engine light on your instrument cluster. If the mixture is very lean, you can get a lot of different symptoms which I will list down below. There are a lot of different sensors or parts that could cause the P0171 code and a lean mixture. I will write the list down below and start with the most common parts to check for when you have a lean fuel mixture. It is essential that you are checking for other trouble codes on other sensors except for the P0171, it can give you a hint of where you should start looking for the problem. There are a lot of different solutions to the P0171 code. I will write down the most common fixes from the top of the list and go down to the more rare ones in the bottom. There are a lot of diagnostic tools that will help the troubleshooting a lot if you continue further down in the article to the diagnose section. How to Diagnose the P0171 code? Because the trouble code P0171 means that there is a lean mixture in the car, there could be a lot of different sensors or faulty parts that could cause the trouble code. This is a guide on how to fix the P0171 code the fastest way and how an experienced technician would do to find the problem. This guide may need some required tools to speed up and make the troubleshooting a lot more effective, but you can do it without it also, try to follow the steps. The first step you always want to do when you are diagnosing a car is to connect a car battery charger. You do often cycle the ignition a lot while troubleshooting and you do not want to get low voltage while you are doing it. Low voltage can trigger other unrelated trouble codes and confuse your troubleshooting by giving you faulty values. Low voltage can even damage electrical parts in rare cases, that’s why I do always use a charger while troubleshooting. If you have an OBD2 scanner at home, this can help you a lot by checking all the sensor value in the parameters option in the scanner. The most OBD2 scanners have this function. Just check the values of the MAF/MAP, coolant temperature, boost pressure, intake temperature sensors and make sure the values are reasonable. A lot of scanners have some base values of what the value should show at the specific RPM and temperature. Also, check the O2 sensor values and make sure they are correct. Replace any faulty sensors and erase the codes and try it again. If you have checked all the sensor values and make sure they seem correct, check for any other stored and related trouble codes in the engine control unit. They could lead you to where to start your troubleshooting. A lot of sensor problems are intermittent, and you get the correct value when you are checking them, but while you are driving they are faulty sometimes and triggers the P0171 code. The engine control units are smart, and if they recognize a faulty value for just a second, it will trigger a trouble code. It is these trouble codes you should look for, and if you get another trouble code of any sensor, you should start checking that part first. This can save you a lot of time in your troubleshooting. Intake leaks are a widespread problem when it comes to the P0171 code. Intake/Vacuum/boost pipe leaks can trick the MAF sensor and cause a lean mixture. The MAF sensor measures all air that is going into the engine and telling the engine control unit which amount of air it is. The engine control units do then inject fuel into the engine depending on the amount of air that is entering the engine. A leak can trick this value, and it will result in a lean mixture.
. These tools are unfortunately often pretty expensive and may be too expensive for any home user. A small tip from me is to take a flammable spray like brake cleaner and spray around the intake while the engine is at idle. If the engine RPM is raising when you are spraying it, it means that there is a leak in the affected area. You can also use soap + water and spray around it to see if you can see any bubbles from anywhere. The leak can often come from a faulty PCV valve also, especially on VAG cars like Audi, Volkswagen, Seat, and Skoda. If you have one of these cars, check the PCV valve under the intake manifold or at the top of the engine on newer 2.0 engines. You should also check the EVAP valve which is controlling the fuel gases. A leaky or faulty EVAP valve can cause a lean mixture. You can often test this valve by blowing through it to see if it’s closed or not when it should. Note: The problem is often at the hose between the intake and fuel pressure regulator, this will cause a low fuel pressure and a triggered P0171 code. Low fuel pressure is a common thing that will cause the P0171 code. This one can be pretty tricky because it could be hard because you do often only check the fuel pressure at idle and the low fuel pressure could occur in other different situations. This a usually solved problem with a fuel pressure gauge that you can connect while driving. A lot of cars do often have a fuel pressure sensor which you could see the pressure while driving, and the problem is that it could be a fuel pressure sensor problem also and in the most cases, the engine control unit would put a trouble code of low fuel pressure. to connect at the fuel pressure rail or the pressure hose. You have to find out which pressure your car should have and remove the vacuum line between the intake and fuel pressure regulator to get the correct pressure. You can let a friend rev up the engine to see if the fuel pressure drops. An open EGR valve, when it shouldn’t be, can trick the MAF sensor and cause a lean mixture. Checking the EGR Valve can often be a bit tricky without removing them. You do usually need an EVAP smoke machine to test it properly or remove them to check it. 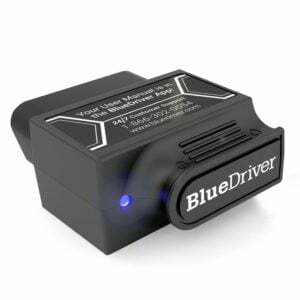 A lot of OBD2 scanners have the function to do an electronic EGR test by checking the air entering the engine when it’s opening and closing. 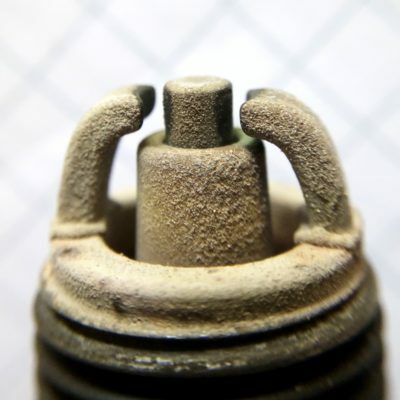 This can often help you to find a faulty EGR valve because the test will give you a positive or negative result The engine control will often recognize faulty EGR valves and leave a trouble code stored in the engine control unit, but not in all cases, so it’s good to check it double. Faulty EGR valves causing P0171 is pretty standard on Opel engines. Clogged EGR lines on Opel engines can also cause it. Exhaust leaks before the O2 sensors can trick them and cause the P0171 code. To check for any intake leaks, the easiest way is to start your car and go under it and listen carefully for any leaks before the O2 sensors. You can let someone block the exhaust pipe in the rear to create pressure in the exhaust pipe and make it even easier to find any leaks. If you have access to an EVAP smoke machine, it’s straightforward to check for exhaust leaks. Just connect it to the rear exhaust pipe and check if you could see smoke coming from potential leak areas. It could also be an O2 sensor that is causing the P0171 code, but this thing you should already have checked in the previous diagnosing steps. A small tip from me is to clean the MAF or MAP sensor to solve the P0171 code. This could be done with an electric cleaner and spray on the sensor string inside the MAF or MAP sensor. Small dust can go through the air filter and gather on the sensor, and this can cause the MAF sensor to get faulty readings of the air entering the engine. This is often fixed by cleaning it, and this is a pretty common problem and a cheap way to test to fix it. If you have done all the steps above, but you are still getting the P0171 trouble code, you may need help with a bit deeper diagnostics of the sensors, or even damaged parts inside the engine. To get help with more in-depth diagnostics, you could either take advice from an experienced diagnostic technician or ask a question at our homepage, and we will see if we can help you. Diagnosing these problems can often be hard over the internet, and it’s better to let a diagnostic technician take a look, but we will answer all questions in one way or another. Intake leaks most often cause the P0171 code, and it should be checked first. The easiest way to check for intake leaks is with an EVAP smoke machine, but it can be done in several other ways. Low fuel pressure is also often causing the P0171 code and should be checked with a manual fuel pressure tester. Faulty PCV/EVAP is common on VAG cars like Audi, VW/Volkswagen, Skoda and Seat and should be checked if you have one affected vehicle. Faulty EGR Valves is common on Opel engines, but affect a lot of other car manufacturers and if you have an Opel you should check the EGR valve first. If you have any other questions about the P0171 code or want to tell us about how you fixed it, you can comment down below, and we will answer your questions as fast as possible. If you have any other car questions, you are welcome to ask them at our homepage.